Zonal OCR is a specialized form of Optical Character Recognition. This OCR technology allows users to define a specific area/field on an image file and extract the information they need. If you are searching for such a zonal OCR scanner software for your .NET project, you can use CnetSDK .NET Zonal OCR Scanner SDK. This Tesseract OCR scanner software can extract the text of specific data fields from images at fast speed and with a high degree of accuracy. 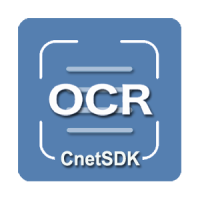 CnetSDK .NET OCR SDK is a Tesseract OCR software, compatible with AnyCPU, x86 & x64 platforms. Our .NET OCR scanner library can be used to add zonal OCR technology into your .NET, C#, VB.NET, Windows Forms & ASP.NET applications. By implementing zonal OCR technology in your .NET project, you can extract only the most valuable text information of loaded images, instead of implementing full OCR scanning & recognition. More specific and fast! This Tesseract OCR scanner software for .NET supports OCR images JPEG/JPG, PNG, TIFF, BMP, and GIF. The first character of extracted text from an image will be recognized as "CnetSDK*" if you are using CnetSDK .NET OCR SDK trial version. To get full Tesseract OCR scanner software for your .NET application, please make an order for its license. In this section, the C# sample code for image text zonal OCR is provided. You can directly integrate our Tesseract OCR scanner software in a .NET project and then use the C# code below to implement zonal OCR for text extraction from a specific zone/field on an image. Here, we take JPEG/JPG image OCR as an example. 1. We use English as an example of image text OCR in .NET. If you need to read and extract other text languages, please download the respective OCR language-trained data. 2. We provide .NET image OCR scanner solution for both x86 and x64 platforms. Please choose the suitable .NET OCR libraries for your C# program. If you use the x64 platform, please copy "CnetSDKOCR_Lept.dll" and "CnetSDKOCR_Tesseract.dll" from x64 folder to the same path of "CnetSDK.OCR.Trial.dll". For the x86 platform, do it in the same way. // Customized region can be set to OCR the text. // Read and recognize text information from JPEG/JPG image. You can also use our Tesseract OCR scanner software in VB.NET project to read specific areas or zone of an image and extract the text data you need. And code example for JPEG/JPG image zonal OCR in VB.NET programming language is offered below.
' Create an instance of CnetSDK OCR Engine.
' Define the absolute path of tessdata.
' Define your text language.
' Define a specific zone/field that will implement image OCR.
' Read and recognize text information from JPEG/JPG image.